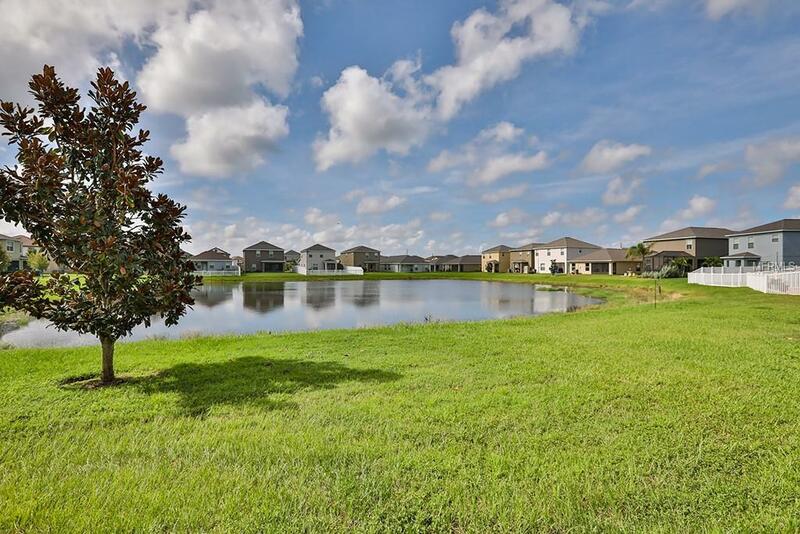 GATED COMMUNITY, LAWN MAINTENANCE, EXTERIOR MAINTENANCE, WATER, SEWER AND TRASH INCLUDED in HOA fee for Hawks Point. Also had many great amenities including 2 community pools, dog park, fitness, playground in a secure gated community. Off the beaten path, but close to everything, this home has a two-car garage and a great floor plan! As large as a single-family home, just under 1900 sf, with all the benefits of no maintenance living. Downstairs is an open great room and main living area. The kitchen features a walk-in pantry and a large island. All appliances convey. Glass sliders out to the covered patio with a relaxing view of the pond. Tile in all the wet areas. Upstairs is the large master suite, two guest bedrooms, bathroom and a bonus or loft area. The master suite is split from the other bedrooms and includes a large walk-in and linen closet. The spacious master suite enjoys a garden tub, dual sinks and a separate shower and view of the pond. The laundry room is upstairs for your convenience and the LG washer and dryer is included. Good storage space in this home.Close to Amazon Center, St. Josephs Hospital, I-75 and US 41 for access to Tampa Bay and Bradenton / Sarasota areas. No traffic to deal with! Owner will consider some closing costs for Buyer with acceptable offer. Call today for appointment. Pet Restrictions Call Hoa For Current Pet Restrictions. See Hawkspointcdd.Org Website For Documents.